Will Washington abandon its rebel proxies in Syria? Outsourcing ground operations against the Islamic State in Iraq and the Levant (ISIL) to Syrian rebels has become the preferred option to secure national security objectives in the country. But it carries the weight of significant moral hazard and has already created a series of political embarrassments for President Obama’s administration. Continued rebel setbacks and volatile political dynamics may lead to a fate similar to Tibet’s U.S.-backed insurgency during the Cold War. Or we can learn from past mistakes and maximize the effectiveness of our proxy engagements in Syria. Late entry into the Syrian conflict on the ground handicapped the United States’ ability to select the optimal proxy to fight ISIL. This is the paradox of strategic irregular warfare: On the one hand, if you don’t get in early enough, irregular warfare options become less effective over time as other actors crowd out the political space available to manipulate. On the other hand, the optimal point of entry is also when politicians are most hesitant to intervene due to the twin dangers of escalation and unintended consequences. When political necessity finally forced the United States to jump into the fire, it failed with its efforts to create a proxy force, Division 30, from scratch. This drove the current U.S. approach. If Washington wishes to gain more from its proxy engagements in Syria today, it must focus on improving control over its proxies. What is the role of incentives and sanctions in establishing control? Can the U.S. government pay the rebels more for greater ISIL body counts or increased territorial seizures? Should it withhold material support or airstrikes if they fail to follow instructions? We have been through this before. The Central Intelligence Agency (C.I.A.) tried this in Tibet. Conditioning aerial resupply on resistance performance failed to achieve the requisite control, similar to the stagnation we see along the Mare’a Line today. What about the Kurds? The Syrian Democratic Forces has been the most effective fighting force against ISIL, so why not sink all of our resources into this partnership? The United Sates typically defaults to relying on Kurdish units such as the Peshmerga and Syrian Democratic Forces because of their cohesion and fighting prowess. But as the United States experienced in Iraq, the Kurds can only go so far before they encroach on Arab territory and draw backlash from locals. Fear of upsetting the delicate balancing act with Turkey is the primary reason why the United States has devoted so much effort to portray the Syrian Democratic Forces as a multi-ethnic, Arab-inclusive force despite its overwhelming Kurdish composition. For many of us coming of age in the mid-1990’s, watching Rage Against the Machine and the Beastie Boys rock the Tibetan Freedom Concerts is the extent of our knowledge pertaining to this part of the world. But there is a much deeper and broader story to be told that holds for the fight against ISIL today. Two dilemmas plague a sponsor’s ability to execute proxy warfare: selecting the optimal proxy, and making it perform as intended. These stem from the principal-agent relationship inherent in outsourcing national security objectives to rebel organizations in order to avoid the prohibitive costs of direct military intervention. Despite lacking complete information about a proxy’s true capabilities and intentions, the sponsor employs the proxy to complete a task that it is either unable or unwilling to execute. This information asymmetry may incentivize the proxy to deviate from the sponsor’s directives in pursuit of its own goals while still receiving the benefits of the relationship. Three primary lessons from Tibet concerning the issues of proxy selection and control apply to Syria. Lack of embedded advisors reduces control over the proxy. A sponsor’s direct advisory presence on the ground increases the opportunity to affect favorable outcomes. However, it also increases the risk of exposure that may lead to casualties and political blowback. Failure to embed advisors with the Tibetan resistance limited U.S. influence over tactical engagements and operational decisions, ultimately reducing their military effectiveness. Despite the C.I.A.’s emphasis on guerrilla warfare and establishing underground resistance cells in the villages, the Tibetans opted to fight the Chinese People’s Liberation Army in conventional, head-on engagements that resulted in heavy casualties. Resistance leadership also decided to remain in the cross-border sanctuary of Nepal instead of establishing forward elements for persistent operations in Tibet. Oil bonanza will end soon. What then? In the first two years of its stint, the Modi Government has stuck to the fiscal consolidation road-map, achieving fiscal deficit target for both 2014-15 and 2015-16. It did so even while pumping huge funds into building roads, highways, irrigation, agriculture and railways and without compromising on its commitments to welfare programmes. Two major driving forces merit attention: First, foreign direct investment reforms, improved ease of doing business, and fast-track approvals for stuck projects has accelerated GDP growth and resultant buoyancy in tax receipts. Second, rationalisation of subsidies, plugging leakages in the delivery mechanism in crucial segments such as LPG, food and kerosene, led to significant savings. But there was an X factor too: In June 2014, when Team Modi took charge, the international price of crude oil was at its peak at over $110 per barrel. Since then, it has been on a downward trajectory, plummeting to $30 per barrel in January. The gas price has moved in tandem from a high of $14 per mBtu plus to a low of $6.5-7 per mBtu. This resulted in a mammoth saving of $50 billion during 2015-16. Subsidy on petroleum products viz, LPG and kerosene was less than one third of `1,30,000 crore paid during 2013-14 (this included diesel being under price controls which were removed in October, 2014]. Likewise, reduction in the price of imported LNG offered huge saving in fertilisers subsidy. But, India could not tap it till December 31, 2015, due to a flawed long-term supply agreement with RasGas (Qatar) which had to be re-negotiated. Clearly, a predominant slice of the credit for maintaining fiscal discipline goes to the oil (and gas) bonanza which not only enabled a massive reduction in subsidy but also helped the Government garner extra revenue from an increase in excise duty on petroleum products. But, this bonanza won't be available eternally. Already, oil price has increased from $30 per barrel in January to to around $50 per barrel currently. Further increase is imminent in view of demand growth (especially from India) and supply reduction from non-OPEC countries. During 2017-18, the price is projected to be in the range of $75-80 per barrel. This will lead to surge in subsidies on petroleum products and fertilisers (price of gas and other raw materials used in their production move in steps with oil). Add to this the impact of Modi's plans to extend LPG subsidy to 50 million more poor in the next three years on top of the 30 million already added during 2015-16. India could plunge into the scenario that existed in 2013-14. In April this year, the Union Ministry of Home Affairs constituted a Committee to Strengthen Border Protection (CSBP) with a mandate “to study all types of gaps in fencing and all other vulnerabilities on Indo-Pakistan Border and to suggest comprehensive approach to fix these gaps in fencing and other vulnerabilities on interim and permanent basis”. The committee, which has since made a number of field trips to various parts of India’s border with Pakistan (from Jammu and Kashmir to Gujarat), is expected to give its recommendations to the government anytime soon. The Home Ministry’s decision is timely and laudable. Recurrent ceasefire violations, increasing infiltration attempts by Pakistan-based terror groups, and daring attacks by such intruders thereafter necessitate a close look at the way our western border is manned and managed. The mandate of this committee, however, falls severely short of addressing key legal, physical, and personnel challenges that our forces face in guarding these difficult borders. The India-Pakistan border is a non-uniform one in terms of terrain, threat perception, potential for terrorist infiltration, illegal activities such as smuggling, humanitarian issues, legal basis of border management, and the forces that manage the border. From Kashmir to Sir Creek, each segment of the border has a diverse set of challenges to confront. Given the backdrop of such a panoply of challenges, the very composition of the CSBP is less than satisfactory: it has no representation from the two forces that manage India’s border with Pakistan — primarily the Border Security Force (BSF), and the Indian Army to a lesser extent. Since the mandate of the CSBP and the expertise of its members are both severely limited, it is likely to come up with another set of ‘ad hoc’ solutions to serious challenges in managing our western border, unless it is willing to address and appreciate some of the recurrent and long-standing issues. With Prime Minister Narendra Modi launching a massive counter offensive against Pakistan’s intensified propaganda war on Kashmir, by throwing into stark relief the human rights violations in the Shia-majority Gilgit and Baltistan in Pakistan-occupied Kashmir, the Great Game has taken a spanking new hue. By highlighting how Pakistan is an occupier of Indian territories, Mr Modi has given the whole Kashmir calculus a new spin. India is no longer the desperate prey, cornered and submissive in this equation. As the uncoiling of history takes place, it is pertinent to understand that the state of Jammu and Kashmir originally had five parts to it: Jammu, Kashmir, Ladakh, Aksai Chin and Northern Areas (Gilgit-Baltistan). Over time, India has lost Aksai Chin to China and, of course, the part captured by the tribal raiders in October 1947, which Pakistan chooses to refer to as “Azad” Kashmir, which incidentally includes the Gilgit-Baltistan area garnered courtesy a quietly executed British coup. In The Shadow of the Great Game: The Untold Story of India’s Partition, Narendra Singh Sarila highlights how in 1935, the administrative and defence responsibilities of this northern frontier had been transferred by the Maharaja of Kashmir to the British government of India under a 60-year lease. As the result of the civil war in China became uncertain, the Viceroy prevailed upon Maharaja Hari Singh to do so in the interests of the security of the empire. Gilgit was administered by the political department from Delhi in the same way as Malakand or Khyber in the NWFP, with political officers reporting to the Viceroy through Peshawar. A carefully chosen force capable of rapid movement in mountainous territory controlled by British officers, the Gilgit Scouts, provided the muscle to the administration. On August 1, 1947 the Gilgit lease was receded by Delhi to the maharaja of J&K and Lt. Col. Roger Bacon, the British political agent, handed over the area to Brig. Ghansara Singh, the state’s new governor. According to V.P. Menon, secretary of state and Sardar Patel’s pointsman in the integration of states, Kashmir did not have the resources, including financial, to hold Gilgit which was cut off from Srinagar during winters. In view of the lapse of paramountcy, the retrocession was probably inevitable, but the fact remains that no sooner was Gilgit handed over to the maharaja than it came under the mercy of Pakistan. The British officers of Gilgit Scouts: Major William Alexander Brown and Capt. A.S. Mathieson, still served Hari Singh as contract officers, though they continued to receive instructions from the political agent for Khyber based in Peshawar which was now Pakistan. Also: India's breakthrough in countering a 'dirty bomb'. In this new world order where the entire globe is threatened by terrorism, the fear of the use of 'dirty bomb' or an explosive laced with radioactive material is genuine. A new technology developed by scientists at the Bhabha Atomic Research Centre in Mumbai almost eliminates a big source of this threat. Lately, there is a lot of concern among people about these things called 'dirty bombs.' What is this 'dirty bomb' and should people in India fear that? How is it different from nuclear weapons? Let me just clarify one thing, a 'dirty bomb' is not an atomic device, but it has a tendency to harm human beings in the same way as all radioactive products do. We use radioactive products like cobalt-60 for cancer therapy etc. Now, if one wants to create a nuisance, one may take this radioactive material used for medical purposes and put it into say TNT (trinitrotoluene), or some sort of an explosive device, and then whenever that explosion occurs, the radiation would spread. So there is a bomb in which you place some radioactive material to make it a little more 'dirty'? Bombs are dirty, but this becomes dirtier. Yes, so it is like this: Typically when you make some bomb and then you want to cause damage, you try to put some nails inside. So that they fly off and harm more number of people. These radioactive materials are similar to that. They are put in the bomb and when it explodes, the whole area may get contaminated (with radiation). The contamination can spread further. If there is very high wind (at the time of explosion or sometime later), then maybe the contamination will flow along with the wind, and as a result of that, the contamination will spread further. But people must realise that while this 'dirty bomb' carries radioactive material, it is not an atom bomb. So the explosion capability or the damage caused is considerably lower than what you find in a typical atomic bomb explosion like that of, say, Hiroshima and Nagasaki. For terrorists, the issue is not so much about creating a mushroom cloud, but to create a scare. How concerned should Indians be? 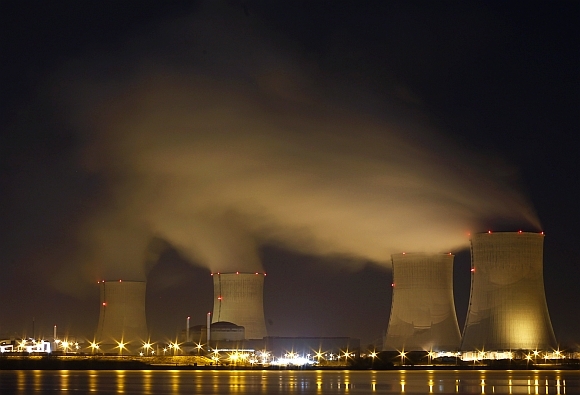 Are Indian nuclear assets well protected? See, basically nuclear assets in India are, in my opinion, very well protected. (The) ministry of home affairs is also taking very active interest in the protection of these things. And then we have our BARC safety council, which is responsible for tracking the radioactive material being imported by various agencies in India, or distributed by BARC, for example. So, as such, the possibility of radioactive materials getting into the hands of undesirable people, I personally feel, is relatively remote. In addition to that, based on the directive of the MHA, we have made all over India locations where any radioactive material, if it is passing through the area, can be detected. *** Is the ISIS Caliphate Collapsing? The Islamic State is losing on the battlefield and in the war of ideas. The Islamic State (IS) has lost another major city—the strategic city of Manbij in northeastern Syria to a coalition of U.S.-backed Kurdish and Arab fighters. Variously called ISIS, ISIL or simply the caliphate, the Islamic State has been on a string of military defeats for the past year. Late last June, it sustained a humiliating military defeat in the Iraqi city of Fallujah, after being driven from Tikrit, Ramadi and Baiji months earlier, while Syrian government troops liberated the ancient city of Palmyra from its grip at the beginning of the year. IS’s successive defeats in Iraq alone shrank its territorial control to 14 percentby early May, a steep decline from 40 percent of Iraqi territories it seized in mid-2014. The loss of Manbij, after Palmyra, has also significantly reduced its territorial stretch in Syria. On top of that, the caliphate has become economically fragile after losing roughly half of its oil finances, forcing reductions in the recruitment of foreign fighters, from nearly two thousand a month a year ago to just two hundred a month currently. These are serious signs of an impending collapse of the Islamic State’s caliphate. Just two years ago, nobody had seriously questioned IS’s viability; the overwhelming global concern was how to contain or degrade it, with President Obama declaring a perpetual war against it in September 2014. The anti-IS war efforts of the U.S.-led and Russian-backed coalitions have not routed IS so far, but they are dealing a massive blow to its much publicized goals and promises—uniting all Sunni Muslims from Spain in Europe to Indonesia in East Asia, elimination of U.S. meddling and Western influences from Muslim lands, restoration of Islamic power under a single caliphate to reclaim global leadership, and so on. Al Qaeda, the Islamic State’s parent organization, once had similar pipedreams, which over time got lost in the quicksands of the Arabian deserts. For a multiplicity of reasons, the Islamic State promises to do no better than Al Qaeda. The Islamic State is the second of the two caliphates the Sunni Arabs have declared following the abolition of the Ottoman Empire in 1924. Sharif Hussein bin Ali of Mecca, King of present-day Saudi Arabia’s Hejaz province from 1916 to 1924 and a man with a profound sense of betrayal by the British after WWI, declared the first post-Ottoman caliphate in March 1924. His caliphate survived less than two years, being finally crushed by his rival King Abd al-Aziz ibn Saud, the founder of Saudi Arabia, in January 1926. Abu Bakr al-Baghdadi proclaimed the second caliphate, or the Islamic State, on June 29, 2014 after conquering vast swathes across the Iraq–Syria borders. Germany seems to be softening its stance on what happens after Brexit. Michael Roth, Germany’s Minister of European Affairs, made some striking comments about the United Kingdom’s relationship with the European Union yesterday. Roth said, “Given Britain’s size, significance, and its long membership of the European Union, there will probably be a special status which only bears limited comparison to that of countries that have never belonged to the European Union.” This contradicts the previous official German position on what will happen when the U.K. eventually triggers Article 50 and begins the formal process of leaving the European Union, and underscores justhow overblown the ramifications of Brexit have been. There was a great deal of hyperbole both in the media and in the words and actions of politicians surrounding Brexit. Those supporting “remain” in the U.K. pointed to government studies saying that leaving would result in immediate and catastrophic consequences for the British economy. Donald Tusk, the current President of the European Council, actually suggested that Brexit was a harbinger not just for the destruction of the EU, but for “Western political civilization.” The idea that Great Britain’s vote meant that the U.K. would turn its back completely on Europe and that Brussels and London would not find common ground on which to work out a relationship is similarly preposterous. Despite the rhetoric, the U.K. is part of Europe whether it wants to be or not. Great Britain can no more ignore its connection to Europe today than it could ignore Europe’s “hatred and its armaments” in 1934. Over 40 percent of British exports go to the European continent. Almost 12 percent of Britain’s GDP comes from the financial sector, and London’s role as a European financial hub is a crucial part of that. Besides economics, anyone familiar with British history also knows that conflict on the Continent will inevitably threaten to cross the English Channel. Even if Great Britain is changing the terms of its relationship with the European Union, it remains intrinsically linked to Europe: politically, economically and militarily. The U.K. will leave the EU. It will never leave Europe. It is now widely recognized that violent extremists have made effective use of the Internet and social media, in particular, to advance their aims through engagement, radicalization, recruitment or propaganda. Violent extremists are also transitioning from their websites and forums towards social media platforms such as Facebook, Twitter, live streaming on YouTube, and live chats on Telegram, to reach a much wider audience. In consequence, governments are interested in understanding what can be done to counter this content. So far, much of the counter efforts have been placed on restrictive measures, such as takedowns of websites and filtering. More recently, there has been growing interest in alternative solutions to the problem, namely providing counter-narratives. As government and private sector entities attempt to counter the powerful propaganda of terrorist organizations such as ISIS, both time and resources are often spent with little to no return on investment. In order to efficiently and effectively expend resources on CVE campaigns, there is a need for a strategic process of analyzing the appeal to propaganda, tailoring a counter narrative to a regional target audience, and assessing the effectiveness of the counter narrative. To achieve this goal, research is needed to first understand the success of violent radical propaganda and second, to develop appealing counter-narratives. Lastly, it is important to utilize appropriate tools to monitor and evaluate those implemented counter-narratives. When one says the word, “ISIS”, your immediate reaction is the result of your perception of the organization, which is largely founded on the influence of their propaganda. The goal of a counter narrative is to delegitimize their portrayals, and ultimately, to discredit the false perception in which their messages create for vulnerable individuals. If you are interested in creating or consulting a counter narrative program here are some things to consider. 20 things to be exact. In order to develop effective counter-narratives, it is first necessary to conduct proper research that will lay the groundwork for any counter-narrative campaign. A recently published study in 2016 by the Quilliam Foundation suggests that counter-extremism approaches have predominantly focused negatively on extremists or positively on those vulnerable to radicalization. However, very little was focused on the different aspects of the radicalization process itself, whether that is the narrative, the grievances or the identity crisis it exploits, or the ideology that underpins it. In other words, counter-narratives have to exploit the vulnerabilities of “fence sitters” by providing credible alternatives. Condemning ISIS or emphasizing liberal values is not effective in terms of countering ISIS’s propaganda. What is more effective is to draw upon “fence sitters’” vulnerabilities by offering them an alternative to ISIS. Heed the warning; you will waste a substantial amount of time and resources if you don’t first conduct proper research. Questions you must ask yourself include, what vulnerabilities are terrorist organizations trying to exploit? Who is the target group and what platform is used to deliver the message? What are the vulnerabilities that the citizens of my country are suffering from? How can I exploit these vulnerabilities and channel it into something positive? What alternative could we offer to those interested in ISIS propaganda? The characteristics of those who yield to radicalization are extremely complex. Loneliness. Adventure. Revenge. Depression. Excitement. Purpose. These are all reasons why one sits on the symbolic fence of radicalization. Fence sitters represent a group of individuals who are not enticed by public service announcements, but are looking for the means to ask questions that address their personal needs. Vulnerable individuals require a vehicle to both access information and to suppress their grievances and curiosities, in which they didn’t feel judged, but welcomed. This burning desire, by this unreached target audience, is where CVE efforts must focus. Defense Department contractors in Afghanistan still outnumber U.S. troops by a 3-to-1 margin according to new research released this week, raising questions again about the role those workers play in the ongoing wars overseas and the oversight they receive. The data, compiled by the Congressional Research Service and first reported by Politico, shows contractor numbers in both Iraq and Afghanistan dating back to fiscal 2007. Combined, the Defense Department spent more than $220 billion on contractors in both war zones for a variety of services and support. The numbers show that the non-military defense workers have outnumbered U.S. troops in Afghanistan continuously since mid-2011, even as the numbers of both have drawn down steadily. But the ratio between the two groups continues to widen as administration officials work to reduce the roles played by armed military personnel in the war-torn country. In early 2012, the number of defense contractors in Afghanistan peaked at more than 117,000 individuals, as compared to around 88,000 U.S. servicemembers. Of those contractors, about 23 percent were working as supplemental security personnel, and more than 70 percent were foreign nationals receiving money from American companies and agencies. The latest figures available, for the first few months of 2016, show nearly 29,000 defense contractors still in Afghanistan, with fewer than 9,000 U.S. troops stationed there. About two-thirds of the contractors were foreign nationals, but only about 10 percent were providing security services. Defense Department records show the majority of their contractors in Afghanistan today (more than 12,00) are providing logistics and maintenance services, to both American and Afghan troops. About 1,600 are working as translators, 1,700 as construction workers, and 2,200 as base support professionals. 31 year old Olympian Micheal Phelps has taken his incredible tally of gold medals to 21. With now twelve more than the next most successful Olympic athlete, Larisa Latynina - A gymnast from the Soviet Union competing at the games between 1956 and 1964 - Phelps is certainly justifying his return in Rio after his post-2012 retirement. Not only does the swimming legend outclass all other athletes when it comes to going gold, Phelps even has a larger haul than some countries. As the chart below shows, with 21 gold medals, he has singlehandedly beaten the all-time gold medal tallies of countries such as Austria, Jamaica and Argentina. While this is more than likely to be his last summer games, over the last four and a bit Olympics he has achieved something truly astonishing - and it's not over yet. This chart compares the total all-time gold medal hauls of selected countries to that of US swimmer Michael Phelps. WASHINGTON — The battle for Aleppo could be a turning point in Syria’s civil war — not simply because it may prove a decisive moment in the struggle between the government and the opposition, but because the leadership of the rebel forces is at stake. Rebel groups have struggled to reorganize and recover from the heavy blows dealt them by the joint Russian and Iranian military surge that began last fall and has shifted the military momentum back toward the government. Yet the already powerful Qaeda franchise Jabhat al-Nusra (or Nusra Front) has now moved to ensure its indispensability and consolidate its influence over more moderate opposition militias. The Nusra Front fighters have been key players in a loose alliance in the crucial struggle over Aleppo that has recently produced significant rebel victories. Nusra is seeking to build on this success with a deft tactical rebranding: On July 28, its leader, Abu Mohammed al-Jolani, announced that the organization was breaking ties with Al Qaeda and forming a new organization, Jabhat Fatah al-Sham (or Levant Conquest Front). In practice, this rebranding is virtually meaningless. Mr. Jolani left no doubt that his group, under whatever name, retains its Qaeda-inspired ideology: His announcement was peppered with effusive praise for Al Qaeda, its current leadership and Osama bin Laden, and he promised no deviation from standard existing doctrines. Analysts believe that the timing of Mr. Jolani’s announcement was linked to American and Russian air attacks — and especially a proposed but as yet unrealized joint air campaign — against his group. (Russia has already started targeting it.) For their part, Al Qaeda’s leaders said they approved the supposed split, strongly implying its tactical purpose. Timing aside, the move is not merely defensive; it is a bid for influence, even control. As Nusra increased its influence among armed Syrian rebel factions in the wake of the Russian intervention, it sought to position itself as first among equals leading a broad opposition coalition. Efforts to secure greater unity earlier this year failed because other rebel groups, most notably the powerful Ahrar al-Sham faction, said they could not consider a formal alliance with any organization affiliated with Al Qaeda. Countries like Turkey, Saudi Arabia and especially Qatar, which back other Islamist rebel groups, reportedly told Nusra that, among other conditions, it must drop its Qaeda affiliation if it sought closer ties to their Syrian allies. What’s Wrong With the Pentagon’s Body Counts of ISIS Casualties in Iraq and Syria? For more on why this recent 80 percent increase is improbable, as well as an official response from the U.S. Central Command, read the full article. The recapture of an Islamic State stronghold in Syria will serve as a model for future U.S.-backed operations there, U.S. officials said, as the Pentagon lays plans for supporting a march by allied forces toward Raqqa, the militant capital. Late last week, fighters affiliated with the Syrian Democratic Forces (SDF), a U.S.-supported group that includes Kurdish militias and local Arab groups, regained control of the city of Manbij, which sits near the Turkish border and had been a key logistics point for the Islamic State. U.S. officials, who spoke on the condition of anonymity because they were not authorized to discuss the campaign publicly, said the Manbij offensive illustrated the value of the small force of U.S. Special Operations troops now on the ground in Syria, as they coordinated U.S. airstrikes and advised Syrian forces during an intense urban fight. 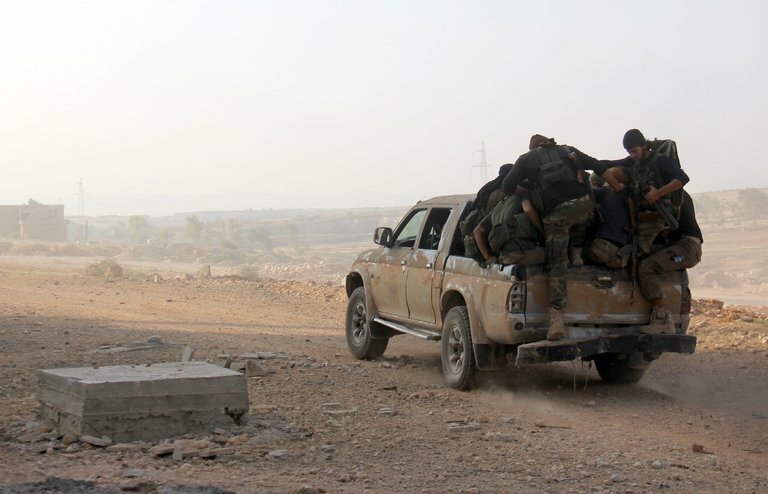 Manbij had been a significant military objective for a number of reasons, including its role as a hub for foreign fighters coming into Syria from Turkey, many of whom would travel from there to Raqqa, some 90 miles to the southeast. They also believe the city was instrumental in the Islamic State’s effort to mount external attacks against the West, saying that militants used the city as a point for pushing experienced fighters toward Europe. In recent weeks, American officials have been combing through large amounts of digital data that U.S.-allied forces seized around Manbij — information that has already provided insight into the group’s recruitment operations. The Islamic State’s defeat in Manbij was welcome news in a conflict that has confounded U.S. policymakers and created dangerous spillover effects across the region. Since late last year, U.S.-backed forces also have captured the town of Shadadi and a strategic dam from the militants, but neither of those areas was as fiercely defended as Manbij. Those developments were seen as an affirmation of President Obama’s decision to send a small team of Special Operations troops into Syria — a move that deepened U.S. involvement and exposed American personnel to heightened risk, but one the president’s advisers saw as necessary to turn the tide against the Islamic State. Most Americans don’t know we’re at war; we are, and Russia is winning. Americans think war starts with a formal declaration of war, though this hasn’t happened since December 1941. In other places, “peace” is only the less violent phase between armed contests. One of those places is Vladimir Putin’s Russia which has been regrouping and preparing for the next war since his 2007 speech in Munich. Wars aren’t always won by artillery barrages, rapid attack, and surprise troop maneuvers. Wars are often won in “Phase Zero” also known as “shaping the battlespace.” Shaping has been defined as “influencing the state of affairs in peacetime” as a prelude to conflict, though this definition falls short by assuming a clear line between peace and war. Putin’s war is grinding on in Europe - in Crimea, Ukraine, and Georgia - and now he is bringing it to America. The putative Russian hacking of the Democratic National Committee, the Democratic Congressional Campaign Committee, possibly Hillary Clinton’s private email server, and the strategically timed leak of those sensitive communications, are only the tip of the iceberg. There is also the relentless flood of Russian propaganda that is befouling the media of Europe and even America, no longer arguing about ideology but questioning the very existence of objective truth. This is the new “always war” - the hybrid warfare that President Putin is waging using what the Soviet Union called “active measures.” In addition to hacking and disinformation, hybrid warfare includes bribery, blackmail, and covert activities aimed at undermining the political stability of Western countries by funding fringe or “protest” political parties; leveraging oligarchs with KGB backgrounds to buy media, politicians or political office; paying agents provocateurs in migrant communities to encourage outrageous behavior that inflames anger at incumbent leaders; and using committed agents of influence to promulgate the party line. Victory in this war is measured not by casualty counts, but by weakening any institution that stands in the way of Putin’s goals. Those institutions include the U.S., the EU, and most of all, NATO. There is one measure of success, however: changing NATO from a deterrent against Russian aggression to anything else. 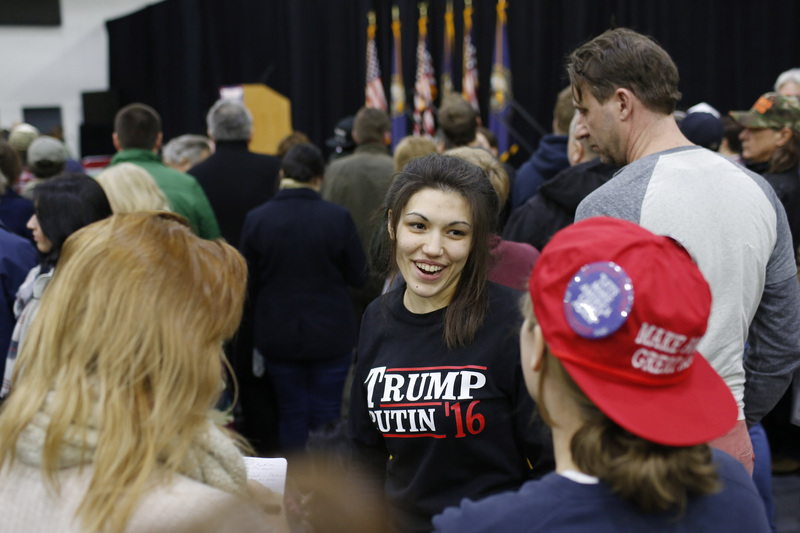 Once staunchly anti-Soviet, some conservatives are embracing Putin’s Russia. Until the fall of the Soviet Union in 1991, one of the centerpieces of American conservatism was anti-communism. Anti-communism readily translated into anti-Soviet sentiment and that into anti-Russian. One of conservatives’ major criticisms of liberals was that they underestimated the threat the Soviet Union posed. The right saw the left as excessively prepared to negotiate away fundamental American interests and principles to placate the Soviets. American conservatism has fragmented into so many parts since 1991 that it bears little resemblance to the movement Ronald Reagan presided over. However, of all the fragments, the most interesting and exotic is the one that appears to be pro-Russian, regarding Russian President Vladimir Putin favorably. I am not only talking about Donald Trump, although his speech on national security explicitly called for a working relationship with Russia to fight Islamist terrorism. I am talking about a faction of conservatism that does not see Russia, even led by a former dedicated KGB man (and therefore a former member of the Communist Party), as a strategic or moral threat to the United States, but rather a potential ally. Part of the reason for this is the rise of the jihadist strain of Islam that has unleashed terror on the United States and Europe. The threat of Russian power seems distant. The threat of Islamic terrorism seems imminent. It poses a threat to Russia as well as the United States. The Russians were fighting Muslim separatists in Chechnya years before 9/11. Indeed, when Putin came to power in 2000, he renewed that war with ruthlessness and managed to mostly pacify the region. There is a theory that the enemy of my enemy is my friend. In the same way that conservatives focused far more on ideology than they did on strategy, their moral objection to communism has transferred to the Islamic world. They are strengthened in this regard by what they see as liberals’ unwillingness to respond in kind. Just as the conservatives objected to liberal policy toward the Soviets as anything from ineffective to collaborative, so the same objections are being expressed about the liberal response to Islam. The conservatives see Russia as a nation that confronted the Islamic threat inside its own borders and that makes no apologies for the measures it took to defeat them. When they look at Putin, they see a man who has confronted the enemy and dealt with it. The fact that he is authoritarian and suppresses freedom is a mark of his strength. For this faction, the world is an enormously dangerous place and strength is the essence of doing the right thing. If, in the course of doing the right thing, freedoms are reduced, then it is the price that has to be paid for safety. This was similar to the response to communism. When Reagan spoke of the evil empire, he was simply announcing a truth others were afraid to announce. When Barack Obama or even George W. Bush were unwilling to name the enemy, Islamist terrorism, they were betraying the country. This conservative faction sees Putin as a man worth emulating because he knows who the enemy is and is prepared to do what he can to crush them. Therefore, in their minds, allying with Putin’s Russia makes as much sense as allying with Stalin’s Soviet Union against Nazi Germany. The enemy of your enemy is your friend. Among Russia watchers, the month of August has become somewhat notorious. Rare is the year that goes by without an eventful August. Sometimes the chaos is internal (the wildfires of 2010 and 2012), while other years the events are external (2008's Russia-Georgia War comes to mind). Read Full Article »Among Russia watchers, the month of August has become somewhat notorious. Rare is the year that goes by without an eventful August. Sometimes the chaos is internal (the wildfires of 2010 and 2012), while other years the events are external (2008’s Russia-Georgia War comes to mind). The Ukrainian government has responded with a blanket denial of involvement in any activity in Crimea, and Ukrainian President PetroPoroshenko has warned that “these fantasies are just a pretext for new military threats against Ukraine.” He has ordered Ukrainian forcesalong the Crimean border to full combat readiness; in the past weeks, Russia has been building up its military assets in northern Crimea and heavy equipment has been seen coming into the peninsula and moving northward. As a response to the alleged Ukrainian incursion into Crimea, the Russian Navy has also launched exercises in the Black Sea. This tone, coupled with Putin’s repeated condemnation of the Ukrainian government as illegitimate (language that has not been used in some time), likely represents a Russian desire to cast blame for the entire situation in Eastern Europe—including the sanctions that have prevented European companies from working and investing in Russia—on “stupid and criminal” Kyiv. ‘Shadow Brokers’ Leak Raises Alarming Question: Was the N.S.A. Hacked? The release on websites this week of what appears to be top-secret computer code that the National Security Agency has used to break into the networks of foreign governments and other espionage targets has caused deep concern inside American intelligence agencies, raising the question of whether America’s own elite operatives have been hacked and their methods revealed. Most outside experts who examined the posts, by a group calling itself the Shadow Brokers, said they contained what appeared to be genuine samples of the code — though somewhat outdated — used in the production of the N.S.A.’s custom-built malware. Most of the code was designed to break through network firewalls and get inside the computer systems of competitors like Russia, China and Iran. That, in turn, allows the N.S.A. to place “implants” in the system, which can lurk unseen for years and be used to monitor network traffic or enable a debilitating computer attack. According to these experts, the coding resembled a series of “products” developed inside the N.S.A.’s highly classified Tailored Access Operations unit, some of which were described in general terms in documents stolen three years ago by Edward J. Snowden, the former N.S.A. contractor now living in Russia. But the code does not appear to have come from Mr. Snowden’s archive, which was mostly composed of PowerPoint files and other documents that described N.S.A. programs. The documents released by Mr. Snowden and his associates contained no actual source code used to break into the networks of foreign powers. 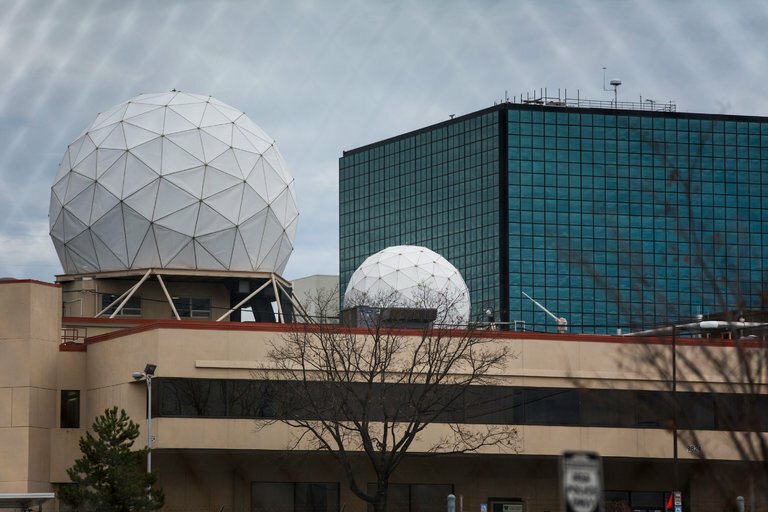 Whoever obtained the source code apparently broke into either the top-secret, highly compartmentalized computer servers of the N.S.A. or other servers around the world that the agency would have used to store the files. The code that was published on Monday dates to mid-2013, when, after Mr. Snowden’s disclosures, the agency shuttered many of its existing servers and moved code to new ones as a security measure. By midday Tuesday Mr. Snowden himself, in a Twitter message from his exile in Moscow, declared that “circumstantial evidence and conventional wisdom indicates Russian responsibility” for publication, which he interpreted as a warning shot to the American government in case it was thinking of imposing sanctions against Russia in the cybertheft of documents from the Democratic National Committee. Around the same time, WikiLeaks declared that it had a full set of the files — it did not say how it had obtained them — and would release them all in the future. The “Shadow Brokers” had said they would auction them off to the highest bidder. This is the second part of an essay on the evolution of the digital environment in geopolitics. Click here to read part one. Antonia Colibasanu is an expert on geopolitics and strategic intelligence analysis, and an associate lecturer at the Academy of National Intelligence and the University of Bucharest in Romania. The views expressed are the author's own. To understand geopolitics is to understand power. The Oxford English Dictionary defines power as “the ability or capacity to do something or act in a particular way, to direct or influence the behavior of others or the course of events.” Science offers a more precise definition. In physics, power is the rate at which work is done -- the work/time ratio, showing the amount of energy consumed per unit of time. The two definitions complement each other -- power has to do with efficiency and influence, building on energy. The digital environment stands astride the logical patterns the human mind develops -- it depends only on innovation and need, with limited to no state intervention. But the nation-state is not completely absent in the digital world and all that regards it, cyberspace included. Digital power embraces and enhances the three dimensions that traditionally define national power -- political, economic, and military. In order to establish how nation-states build digital power, it is essential to understand the developing factors for the digital environment and the way states facilitate, use, or impede evolution in the sector. While the internet remains an important component of cyberspace, networked technologies that allow industrial machines to communicate with each other and with their operators are the defining features of the fourth industrial revolution that cyberspace now encompasses. It is these technologies that bring competitive advantages to nation states. Their goal is to increase efficiency, reduce downtime, and monitor quality. The way countries support innovation and promote technological advances, forging dependencies among themselves, will help shape geopolitical trends. Digitalization starts by affecting the economics of a country, forcing it to adapt its policies. The revelation of the NSA cache, which dates to 2013 and has not been confirmed by the agency, also highlights the administration’s little-known process for figuring out which software errors to disclose and which to keep secret. The hacker tools’ release “demonstrates the key risk of the U.S. government stockpiling computer vulnerabilities for its own use: Someone else might get a hold of them and use them against us,” said Kevin Bankston, director of New America’s Open Technology Institute. The weekend’s release prompted immediate speculation about who might be behind it. A group calling itself Shadow Brokers claimed responsibility. Some experts and former employees suspect, although without hard evidence, that Russia is involved. Other former employees say it is more likely a disgruntled insider seeking to make a profit. Whoever it is, “it’s very concerning that potentially someone working for another government is essentially holding hostage companies that are sitting behind these [firewalls], making them very vulnerable,” said Oren Falkowitz, chief executive of Area 1 Security and a former NSA analyst.